We're asking a number of diverse Tyler leaders and residents one simple question. 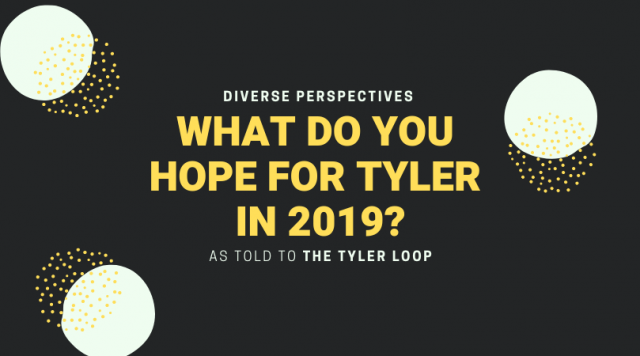 We’re asking a number of diverse Tyler leaders and residents about their hopes for our city in the coming year. What do you hope Tyler will achieve or attempt in the next twelve months? What do you hope Tyler will leave behind, or prevent from happening? What signs will you look for to indicate that progress is being made in 2019? This is our third installment of an ongoing, occasional series; you can read the rest here and here. Conversations have been edited and condensed for length and clarity. If you’d like to send along your own hopes for Tyler, drop me a line. I’ll read every response, and possibly ask to publish your note in a future roundup. McClendon is an award-winning winemaker and co-founder of Sages Vintage in Nacogdoches, providing mentorship and grape-crushing facilities to East Texas wineries. He is a former winemaker at Kiepersol Estates and a graduate of U. T. Tyler. Growing in up in this area, going to university here, and working and living here now, that perception [of exclusivity] has kind of always been there. It’s led a lot of young people growing up in Tyler to want to move away, because it doesn’t feel open. More people need to acknowledge that, and make conscientious decisions to work together across socioeconomic levels, different religious or racial boundaries, or whatever other boundaries might exist. I think there are signs that progress is being made right now. I truly think we are at the cusp of moving into a new era of what Tyler is and what it should be. But there are still some things we need to shake. Part of that means meeting people where they’re at, and being more inclusionary. So, if you’re interested in benefitting homeless people in our community, instead of thinking, ‘We’re going to have this huge gala function,’ it would be about pushing deeper to find ways to engage a broad base of people who might only be able to give five dollars, but who actually have a real connection to that community, who want to have an impact on their own community, who know the community’s needs in a more genuine way. Break it down to where the people who are impacted by the issues can have a more genuine role in spearheading the change, because that’s what’s ultimately going to be the most effective. 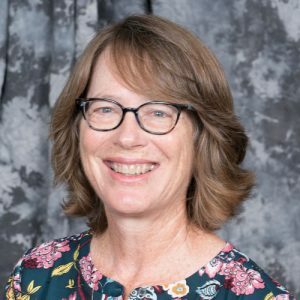 Smith is a program officer at East Texas Communities Foundation, where she administers scholarships and competitive grants. She has volunteer experience with several local nonprofits, including the Literacy Council and East Texas Food Bank. “My hope for Tyler is for neighbors to know their neighbors, the ones actually next door and across the street. I walked through many parts of town last year in preparation for a 130-mile walking vacation, and saw too many empty front yards. We can reach out to each other and ease loneliness and isolation by simply walking our dog, sitting on the front porch, hosting a block party, and visiting with our next door neighbors. Luce is president of the Tyler Young Professionals Network and a founder of Smith County Young Republicans. 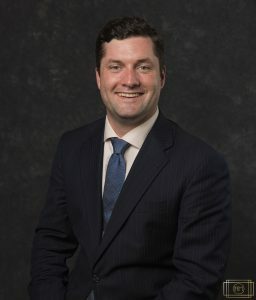 He works in commercial real estate with The Means Companies and is a member of this year’s Leadership Tyler class. 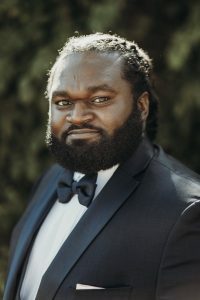 “When I moved to Tyler three years ago, I found that it was that it was harder to get connected with young people. My passion is for the younger demographic, finding ways to attract young college-educated people to the area, and retaining young people graduating from our schools. That’s partly why I’m the incoming president and outgoing president for two different boards with the word ‘young’ in the title. It’s not unique to Tyler; you see this anywhere outside a major metropolitan area. People who grow up there can’t wait to get out. Here, there’s the idea that you’ll go off to TCU, Baylor, or A&M, then maybe come back when you’re thirty and have a couple kids because this is a good place to raise a family. But that means we’re losing out on the mid-twenties crowd, and everything they can offer to our community. I want to help collaborate with different groups to attract and retain [that age bracket] as well. For that to happen, there have to be more job opportunities. I know people who grew up here and would love to live here, but they don’t see the jobs they would want in their fields. On a macro level, I think our city and our county could attract more large manufacturing jobs. Not that everyone will work in manufacturing, but it’s a backbone that allows other industries to flourish. Manufacturing allows more service industries to flourish as well, meaning more people spend money in the community. Another thing to attract young people is the quality of life aspect. Building on things that are related to technology, innovation, and the arts will have a huge impact. People said it was a big boost to our quality of life when we could start buying beer and wine in grocery stores, and we saw new places opening like The Grove or ETX Brewing or True Vine, fun community places to gather with other young people. I think we also need to have liquor stores in the county. It’s just an antiquated idea that if you want to go buy a bottle of liquor, you have to spend an hour and a half going outside the county to get it.